POWER STEERING & ALTERNATOR BRACKET FOR 153 194 215 230 250 ENGINES. WORKS WITH NON-INTEGRAL HEADS. ADJUSTABLE FRONT TO BACK. PLAIN STEEL READY TO PAINT. COMES WITH HARDWARE & INSTRUCTIONS. 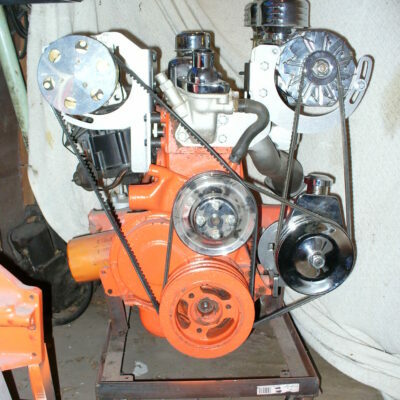 1962-84 153 194 215 230 250 GM INLINES USING A SAGINAW PUMP AND 10SI DELCO ALTERNATOR. NOW WORKS WITH BOTH IRON AND ALUMINUM THERMOSTAT HOUSINGS!! PLENTY OF ADJUSTMENT FRONT TO BACK TO ACCOUNT FOR DIFFERENT BELTING AND PULLEY DEPTHS. BRACKETS COME WITH HARDWARE & INSTRUCTIONS. DOES NOT INCLUDE PUMP, ALTERNATOR, BELTS OR PULLEYS. 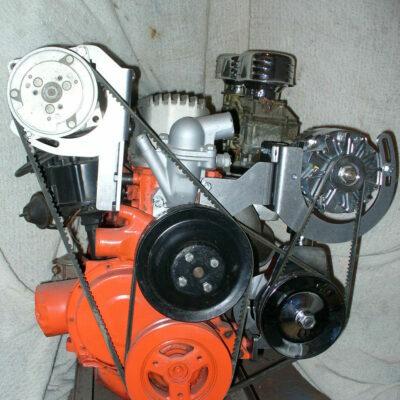 1) 153, 194, 215, 230 OR 250 ENGINE. 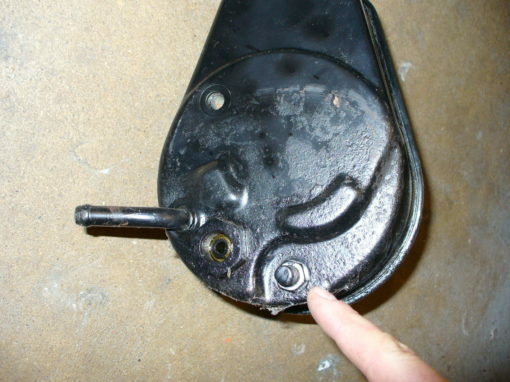 2) GM SAGINAW TYPE 1 POWER STEERING PUMP. SEE NOTES. 3) GM 10SI CASED ALTERNATOR. 5) 2 GROOVE POWER STEERING PUMP PULLEY. 1) NOT FOR 292 ENGINES USING 292 STYLE WATER PUMPS. SEE 10006 OR 10007 INSTEAD. 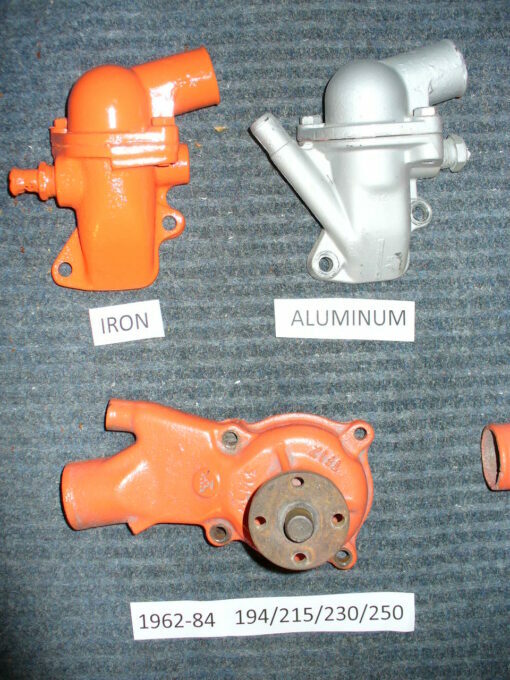 2) NOT FOR USE WITH INTEGRAL CYLINDER HEADS. PLEASE SEE 10059 INSTEAD. OR A 1948 OR OLDER CAR, THEN THIS WILL BE TOO WIDE. PLEASE SEE 10019 INSTEAD. 1) CAN BE USED ON A 292 THAT IS USING A WATER PUMP & THERMOSTAT HOUSING FROM A 250. 2) WORKS WITH ALL STOCK & AFTERMARKET EXHAUST MANIFOLDS AND HEADERS. 3) WORKS WITH ALL INTAKES EXCEPT 3X1. 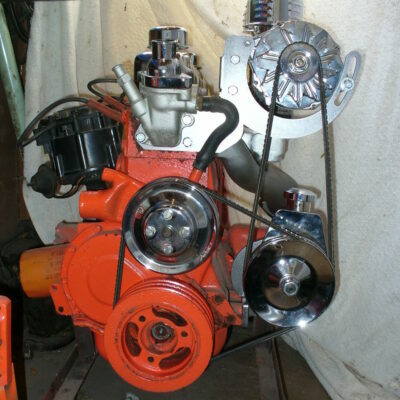 4) WORKS WITH BOTH 5-1/2″ & 7″ WATER PUMP PULLEY SIZES. 5) IF YOU HAVE 2 GROOVES ON WATER PUMP AND BALANCER AND ALSO WANT AC, THEN SEE 10008. 6) PS PUMP NEEDS A STUD NEXT TO THE PRESSURE HOSE CONNECTION AS SHOWN. DO NOT USE A STUD AT ANY OTHER LOCATION. KEYED SHAFT PUMPS ARE RECOMMENDED. 1969 TRUCK 6CYL PUMP WORKS WELL FOR REFERENCE. SHAPE OF RESERVOIR ISN’T RELEVANT. BOTH “MILK JUG” AND “A-FRAME” STYLES WORK FINE. ALL DAVIS SPEED EQUIPMENT PARTS ARE MADE IN THE USA. 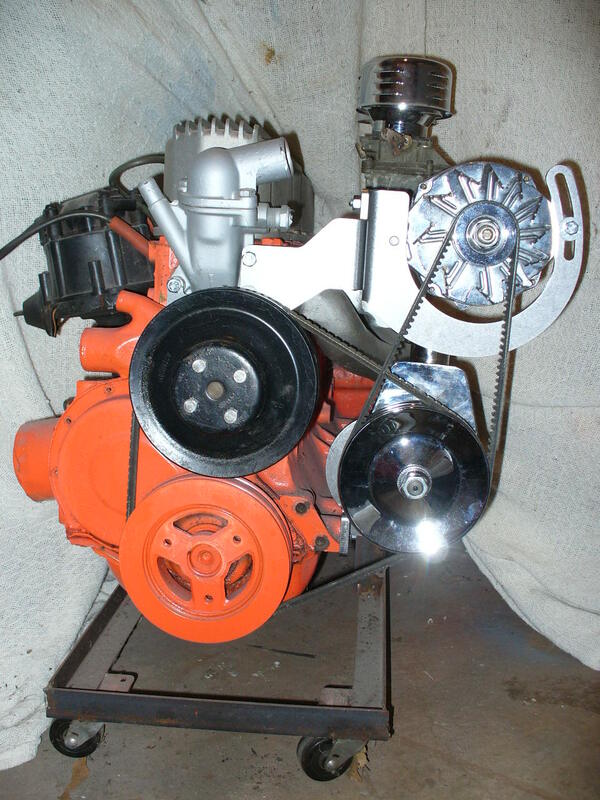 If you are wondering what to do for a 2 groove setup, if you have the 2 groove balancer WITHOUT the wide space between grooves, then a 2 groove water pump pulley from a small block V8 will work. 1955-68 for the small fan bolt pattern, 1969-up for the large fan bolt pattern. 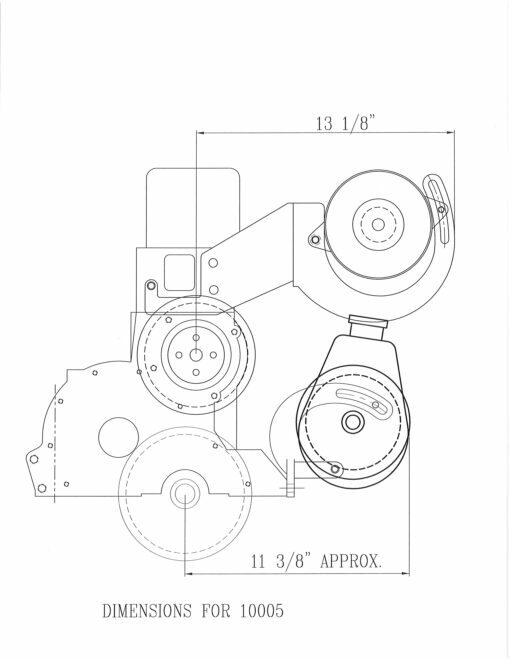 For pulleys with the 1/2″ wide space between the grooves, you will need to find an original pulley.